Gannon University held its first lecture Oct. 29 of the Jefferson Educational Society’s Global Summit X, with four more lectures to be held on campus. The Global Summit is a three-week lecture series to address issues regarding the Erie community, the country and the world. The summit continues until Friday, Nov. 16. Most of the lectures will be hosted at the society’s headquarters on State Street. However, one event, on Nov. 13, will be held at Penn State Behrend. Alli Hess, a senior advertising communication major, had never been to a Global Summit event prior to Ignatius’ talk on Oct. 29. “I would recommend students take advantage of the amazing opportunity of hearing lectures about serious global issues and learning more from people like David Ignatius,” Hess said. Ben Speggen, director of operations with the Jefferson Educational Society (JES), encourages students to attend events for the summit and any events the society has throughout the year. 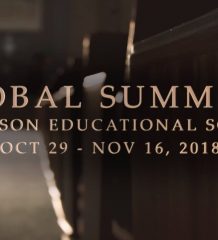 Due to all the support from generous sponsors such as Erie Insurance, Gannon University and LECOM Health, Speggen said the Jefferson Educational Society has been able to offer free access to all Global Summit events for all Erie County students. “This is a tremendous opportunity for students to hear from some of the nation’s leading minds right here in Erie and right at Gannon,” Speggen said. “These speakers are exploring the issues of the day to help shape how we plot our collective future moving forward. “For students to have access to this, we believe, is an opportunity that shouldn’t be missed,” Speggen said. According to Speggen, five of the events are already sold-out, and the JES has had to relocate one event because of the incredible early ticket demands. Speggen said he is looking forward to the rest of the summit and for the remaining lectures that will be at Gannon. “We’re excited to return to the Gannon campus for renowned historian and Pulitzer Prize-winning author Doris Kearns Goodwin, award-winning journalists Ann Compton and Bill Plante, MSNBC’s Chris Matthews – a household name in politics – and national correspondents for The Atlantic and authors of the best-selling ‘Our Towns: A 100,000-Mile Journey into the Heart of America’ James and Deborah Fallows,” Speggen said. The next lecture that will be held on Gannon’s campus will be at 7:30 p.m. Monday in the Hammermill Center of the Waldron Campus Center. Goodwin will speak about presidential leadership in turbulent times. Goodwin, 75, is a returning speaker for the summit. She is a world-renowned presidential historian and Pulitzer Prize-winning author. She spoke back in 2016 for Global Summit VIII to a sold-out crowd at Mercyhurst University. Goodwin will be discussing if leaders are born or made, how adversity affects the growth of leadership, if the leader makes the times or if the times make the leader and much more. On Wednesday, Nov. 14, Bill Plante and Ann Compton will be speaking at 7:30 p.m. in the Yehl Ballroom of the Waldron Campus Center. The lecture will be moderated by Steve Scully. They will be bringing perspective to the national news media scene and coverage of the White House throughout the decades. A conversation with Chris Matthews will be the next Global Summit X lecture to be held on Gannon’s campus. Matthews will speak Thursday, Nov. 15, at 11:30 a.m. in the Hammermill Center of the Waldron Campus Center. The final lecture of the series will be at Gannon at 7:30 p.m. on Friday, Nov. 16, in the Yehl Ballroom. James and Deborah Fallows are the recipients of the 2018 Hagen Dignitas Award. They have strong skills at shining the spotlight on everyday Americans in the communities where they work, live, play, hope, and struggle. The Fallows are experts on China, middle America, politics, economics, aeronautics and communication. All events hosted on and off campus by the society are free to Gannon students, faculty and staff. If you plan to attend, you will have to register in advance by calling 814-459-8000. You will then have to provide proof of your relationship to Gannon. 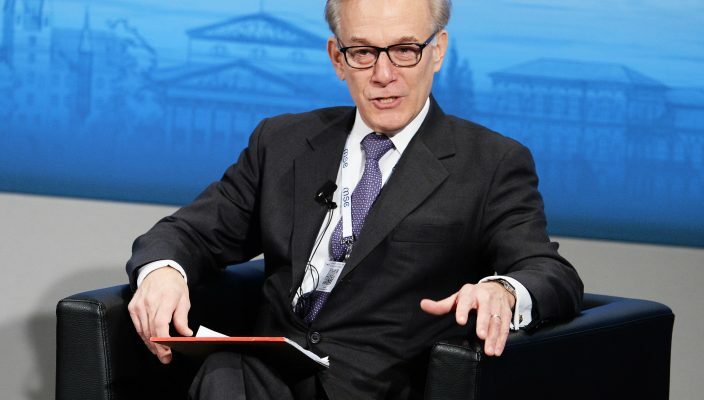 David Ignatius kicked off the Global Summit X in the Yehl Ballroom at Gannon University on Oct. 29. One of the things Ignatius spoke to the audience about was journalists’ safety in the U.S. and around the world. 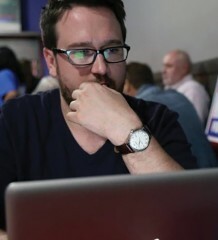 He was good friends with Jamal Khashoggi, the Washington Post journalist who was killed in Saudi Arabia almost a month ago. Ignatius also talked about how he visited Pittsburgh on his way to Erie. He said he wanted to visit the place where the shooting occurred at the synagogue in Squirrel Hill. Speggen said that the JES was excited to have Ignatius begin the summit speaking to a sold-out crowd. “Personally, it was a professional high-water mark for me to have had the opportunity to engage Mr. Ignatius in conversation for this event by moderating the discussion,” Speggen said. There were 425 people in attendance at the event. “I can’t think of another event I’ve been to in Yehl that was as packed as Monday night,” Speggen said. More information about Global Summit X can be found at jeserie.org.